Greg is a fourth-generation Grim family member practicing in the original Perkasie office, which first opened in 1895. 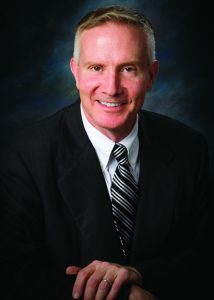 His long experience and guidance in the areas of estate administration and trusts is a trusted source for many clients. Realizing that coping with the loss of a loved one is very difficult, Greg does all he can to make administering the estate of a loved one as smooth and uncomplicated as possible. He also concentrates his practice on estate planning with a view to minimizing any adverse tax consequences to the benefit and satisfaction of many clients. Like his father Larry, Greg serves on various community nonprofit boards and provides pro bono guidance to local organizations.